I used to play a lot of Xbox in high school, the vast majority of it single player games. One of my favourite games of all time would have to be the Half Life series. Over the years I’ve sunk more hours into replaying that than I’ll ever admit in public, and one of my crowning Xbox achievements was a journey where you find a gnome at the beginning of the game, and basically have to carry him to the end. It’s difficult, but doable. I spent several hours and now join the other 2.56% of Xbox fans who played the game and obtained that achievement. Well I do, it was fun and the achievement looks good on my Xbox dashboard, but it doesn’t really say much. It speaks nothing of the journey to get there, how I overcame the obstacles, the time and effort I invested or even really highlight how much work it was. So why are we doing the same thing in education? From Mozilla to Microsoft, many people are attempting to leverage badges and achievements to demonstrate skill competency and proficiency. It’s a quirky engagement tool which looks nice, but very very rarely tells me anything about your actual competencies or skills. I’ve read resumes touting badges and achievements, interviewed people who wanted to even show them to me, but at the end of the interview I’d learned less about their skills and ability than just asking my usual questions. I am also yet to hear a story where another hiring manager has looked at a digital badge and thought “I’m going to hire them for sure now!”. When comparing a sample set of badges from places like Credly, Acclaim and generic Mozilla Open Badges, it’s clear to see how shiny, yet fundamentally empty and useless they are. The vast majority of “badging” has turned into social engagement tracking tools, where conference organisers can issue badges for attendance, and indeed event attendance is the most common trend. Across the majority of platforms, the common badge structure is applied against the Mozilla Open Badge format. I love open formats and standards, but what I don’t love is when those open formats and standards are no longer fit for purpose. The taxonomy and data structure of these open badges are far too simplistic to represent any real form of competency or educational achievement in a digital world. They can, however, just be as much fun as my old Xbox. As a result of discussions with issuers, educators and recipients, I feel as if badges are missing any real gravitas or sense of importance. Psychologically it feels fun, yet somewhat disposable. If the company that issued your badge just up and vanished, would you be upset? I believe this sense of disposability is actually presented in the badges themselves when even the most simplistic fields are left blank, while the badge icon used has been highly polished. 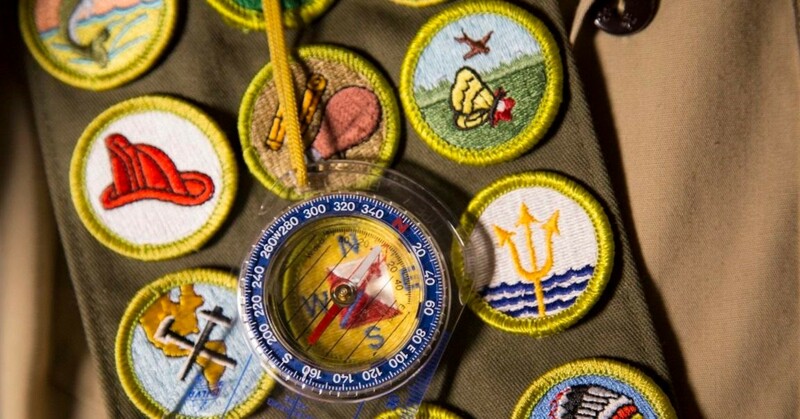 If you’re thinking about leveraging badges for engagement, then they’re perfect, badge away. But if you’re looking for a little bit more of a serious approach you wont have to wait much longer.